Deacon Dave’s Documentary now on Amazon! Awesome news for the Deacon Dave’s: Behind The Glass documentary! The full film is now for sale on Amazon! You can purchase the DVD there, or as always, watch it for free Right Here. A few friends and I got to follow the construction cycle at Deaon Dave’s Christmas for a year. They put up over 300,000 lights surrounding a display you can walk through. Take a look at the Documentary hosted by Sabrina Signs right here. 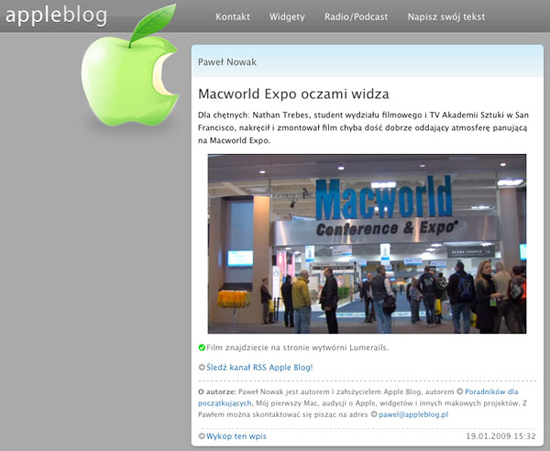 Macworld 09 movie gets International Press! My personal Demo Reel for 2009 is up! Check it out! My friend Roy Solorio did the music! Two movies at the CA Indie Fest!